A communication sophomore from Morocco, Hatim is a foodie procrastinator, who grew up in Taliouine, a small village in the south of Morocco. He was an active advocate in the National Child Parliament and made their smile his cause. Hatim is very energetic and always up for a healthy debate. 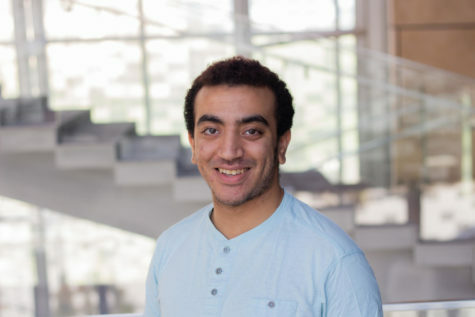 Before coming to NU-Q, he was a Mathematics student and he is still passionate about the challenging nature of science and channels it into creative projects. He is also an active social entrepreneur and loves entrepreneurship in service of social causes. He is the CMO of Ag Automation, a prizewinning tech agriculture startup in the Arab Innovation Academy.